Army Sgt. 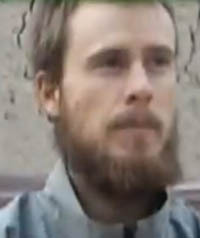 Bowe Bergdahl, a Wood River Valley native, has been a captive of the Taliban in the Middle East since 2009. He grew up in Croy Canyon and worked in Hailey before joining the U.S. Army to make a difference in the world. Bergdahl was captured after spending a few months on duty in Afghanistan. An interview given by the soldier’s father, Bob Bergdahl, to Rolling Stone magazine two years ago indicated that the soldier was disillusioned with the U.S. military actions in the region, and may have deserted his post. Although Bergdahl’s visibility in the world media has waxed and waned during the last four and a half years, support for him has remained steady in his hometown of Hailey and beyond. Now the soldier’s cause has been taken up by stars in the music industry, including Sir Paul McCartney of Beatles fame, singer and actor Queen Latifah and members of the hit band Imagine Dragons. At times, Bergdahl has been the focus of proposed peace negotiations between his Taliban captors and the U.S. military. Last month, top U.S. military brass re-emphasized their efforts to find Bergdahl and bring him home. “Twenty four hours a day and seven days a week there are dedicated resources to bring him home safe and sound,” said Defense Intelligence Agency Director Lt. Gen. Michael Flynn. Flynn was speaking last month on Capitol Hill before a Senate Select Committee Hearing on current and projected national security threats against the United States. This message has been re-stated numerous times by the military, yet Bergdahl’s whereabouts are still unknown. U.S. veteran Dwight Murphy began a grassroots POW bracelet campaign to draw attention to Bergdahl’s plight, sharing information with musicians at Taco Bell Arena in Boise, where Murphy works as a security guard. Word of Bergdahl’s plight spread throughout the music industry. At the recent Grammy Awards ceremony, a number of high-profile stars were photographed wearing the bracelets. “We are not giving up the fight until we get Bowe Bergdahl home,” Murphy said. To acquire a Bowe Bergdahl bracelet, go to Dwight Murphy’s Facebook page at www.facebook.com/dwight.murphy1.